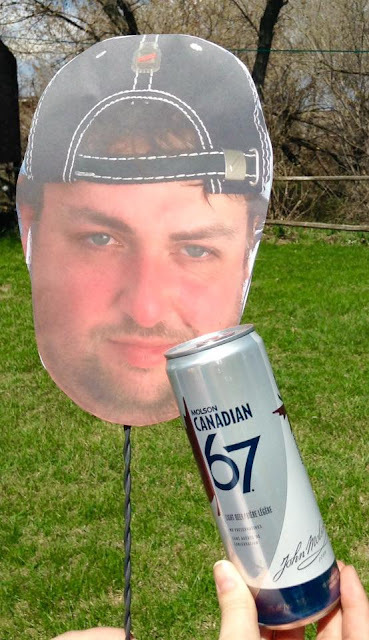 Here in Manitoba, we live in Pilsner country, not as in Molson’s Old Style Pilsner country (the beer with the bunny on it) - that’s Saskatchewan, but as in prairie pilsner country. If you grew up in Manitoba like I did, you grew up around pilsener-style lagers like Labatt Blue, Kokanee, even Club and OV. When you go to a hockey or football game, a social, or your favourite bar or pub, generally they have lots of pilsner available. Pilsners have changed from your father’s Labatt Blue, lots of them now days are more true to the German style pilsners that use several varieties of hops, only the best malted 2-row prairie barley and a sweet citrus zest that makes you want more after a long hard day in the field. 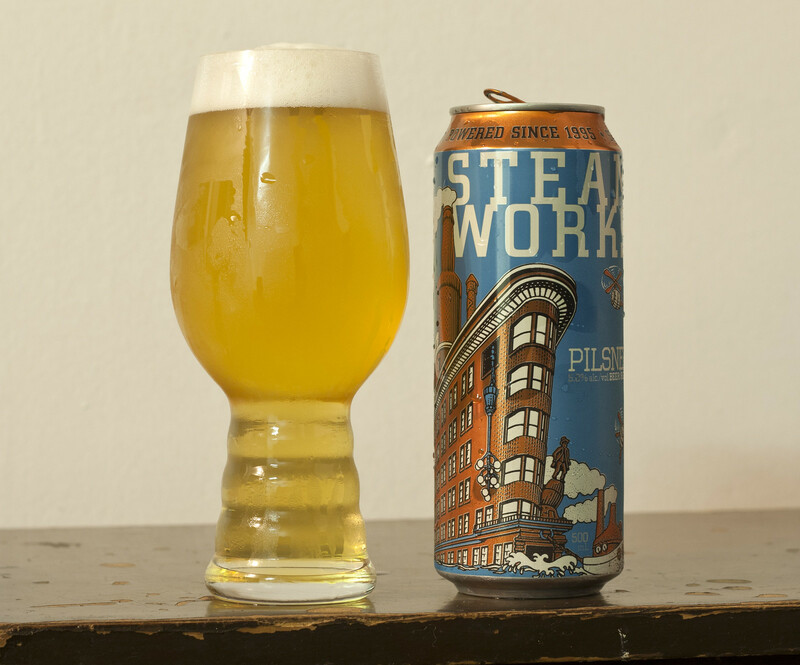 Vancouver’s Steamworks Brewery now has their pilsner and pale ale available here in Manitoba. 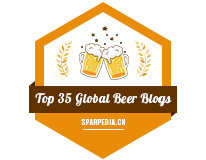 Their pilsner is rated one of the best pilsners in all of Canada and even won a gold medal at the 2012 Canadian Brewing Awards. I’m not a pilsner fan as they’re generally too light for me, and all the corny pilsners I’ve had over the years have done a toll on my stomach, my stomach turns at the smell of abundance of corn from some of the larger brewed pilsners out there. Steamworks’ Pilsner pours just like your standard Canadian pilsner or lager, a clear, golden straw yellow body, decent amount of micro carbonation, but nowhere near as bubbly as a Kokanee or Blue. To top it off, it has a frothy off-white head. The aroma is a bit lighter than your standard Canadian pilsner but without that annoying corny aroma. It has aromas of quality Canadian barley that gives off a bit of a light straw and grassy tone to it, a hint of lemon, very earthy and a bit of a early morning summer dew vibe coming off it. The flavour is quite a bit reminiscent of what we know and love about Canadian pilsners, it has back notes of barley - the taste reminds me of going into a brewery right as the kettles are boiling to brew the beer, a very barley heavy pilsner, a pinch of lemon, quite grassy. To the average Kokanee/Blue/Canadian fan, this would be much more malty than your standard pils as there’s some sweet tones that leave a bit of an aftertaste to it. The hops are just as present as they would be in just about any other pilsner - not really there though it does owe some of its grassiness to the Hallertauer hops used. A tad bit less malty than Arden’s Farmery Lager, but a bit more hops than Farmery here. Pilsners just don’t do it for me. I love them after a hot work day as they are incredibly refreshing and not heavy in any sense compared to a Belgian ale or a stout, but I like a bit more citrus or hops in my pilsners. My current favourite pils is Half Pints’ Phil’s Pils out of Winnipeg, that’s a very floral and flavourful pilsner that would be a bit too much for the average beer drinker out there, but for me, I can’t get enough of it. I like the medium amount of sweet maltiness coming from the 2-row malt, but I’d like more hops please! What’s surprising is that Steamworks’ Pilsner is actually more bitter than Alexander Keith’s at 30 IBU compared to Keith’s at 20 IBU, so in a way.. this beer is more of an India Pale Ale than Keith’s! 5.0% ABV. Available at Liquormarts in Brandon and Virden. $3.25 per 500mL can. Winnipeg’s Fort Garry Brewing is coming out with some new treats in the near future, some that will shock and awe you.. if it gets past the experimental stage! Fort Garry’s Big Buddha Lager will be hitting Liquormart shelves in Brandon in the next few weeks. Big Buddha is an Asian inspired lager that has notes of ginger and lemongrass giving the beer a bit of a bite as well as a citrus zest that’s perfect just in time for the “not quite autumn” season. I tried this one the other day and if you are a ginger ale fan and tend to drink lighter lagers or pilsners, this will be the best of both worlds for you. When it comes to town, it will be $2.97 per 473mL can.